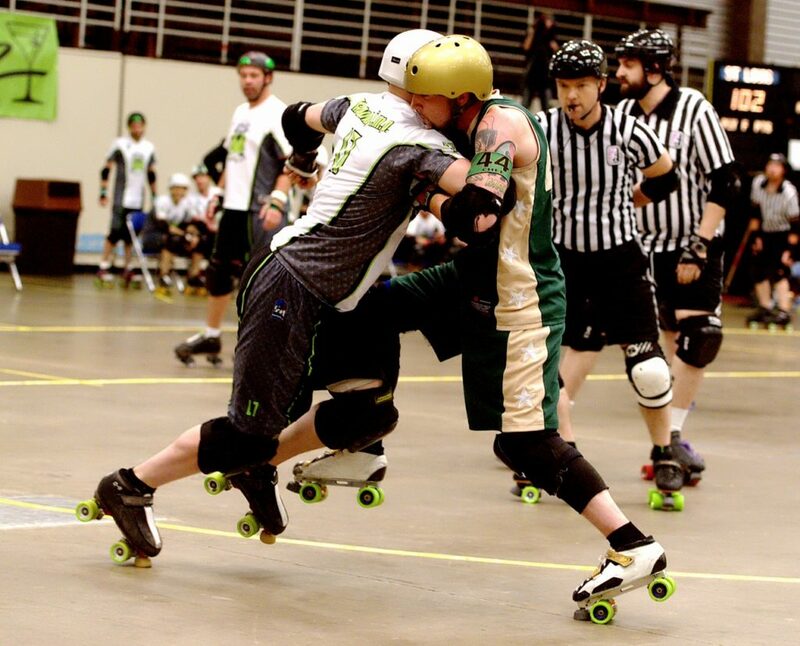 The St. Louis-based contingents of men’s and women’s flat-track roller derby leagues are set for a busy weekend at a highly-competitive invitational and, in the process, aim to collect respective sweeps. 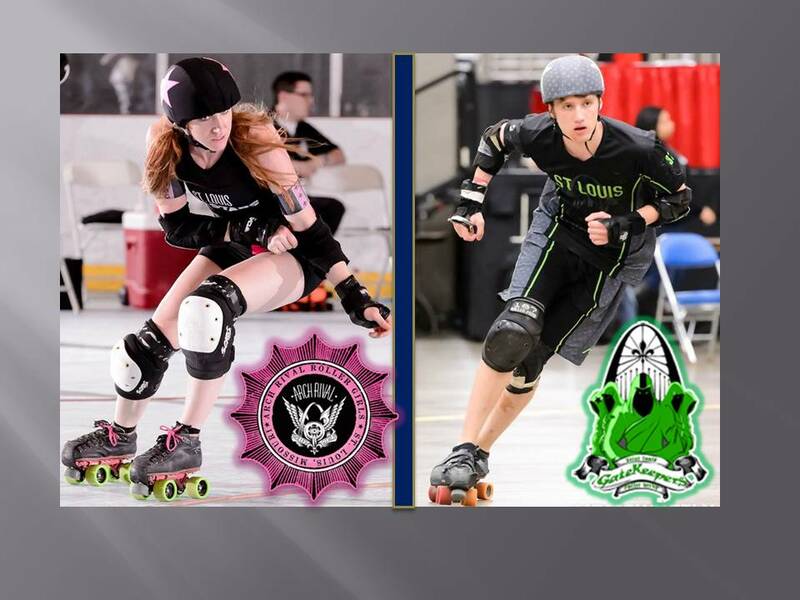 The primary travel squads of the Arch Rival Roller Girls (ARRG) and GateKeepers Roller Derby (GKRD) compete this weekend at “Spring Roll 2015,” held at the Allen County War Memorial Coliseum in Fort Wayne, Indiana. The three-day, two-track event features 34 games overall. 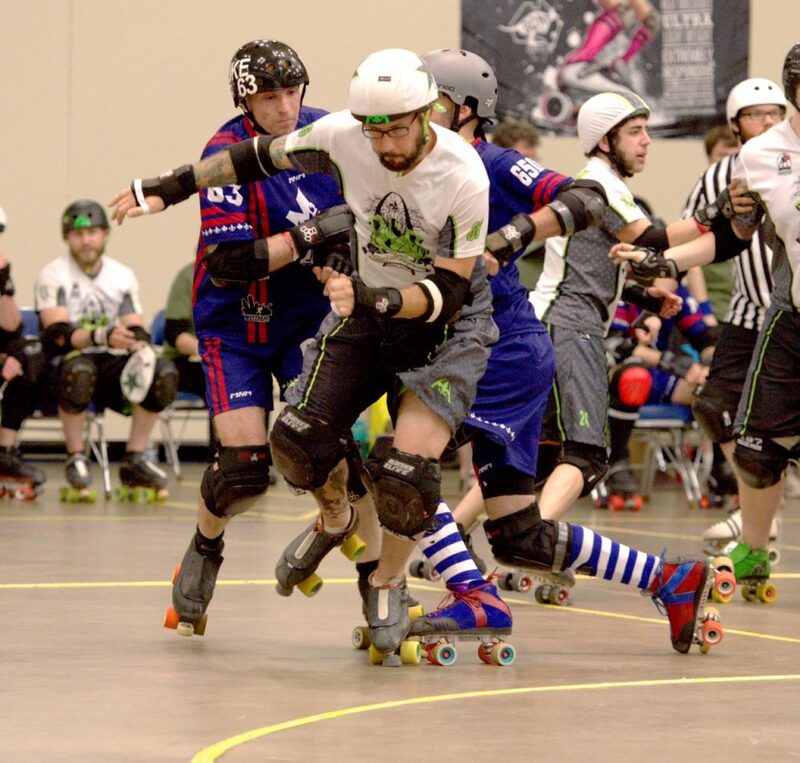 Seventeen games for both women’s and men’s leagues are scheduled and the Gateway City tandems are thick in the mix. 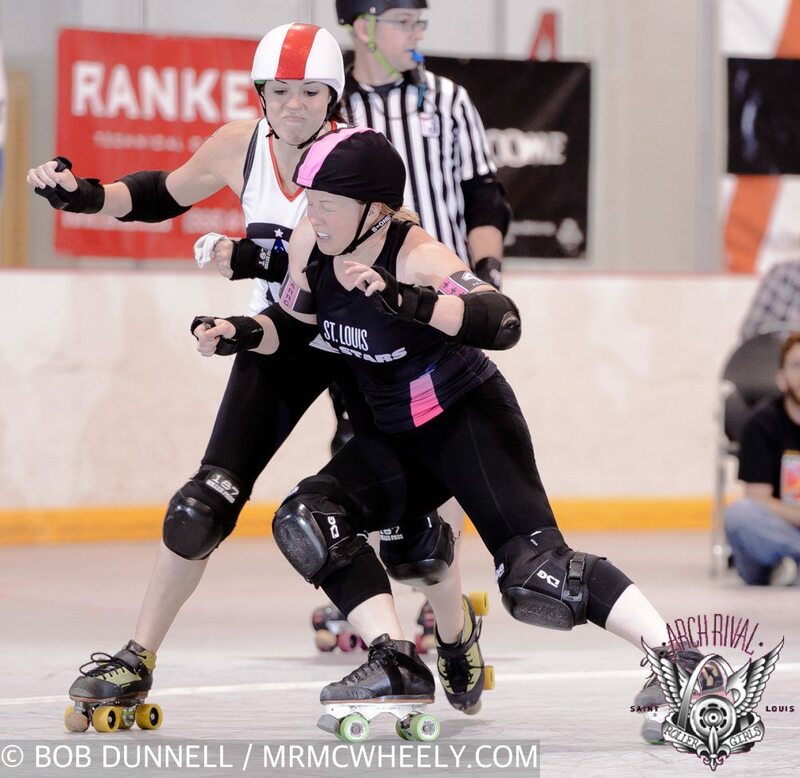 Arch Rival, currently ranked #20 internationally by the Women’s Flat Track Derby Association (WFTDA), has contests against #29 Toronto, #31 Dallas and #36 Calgary on the docket. 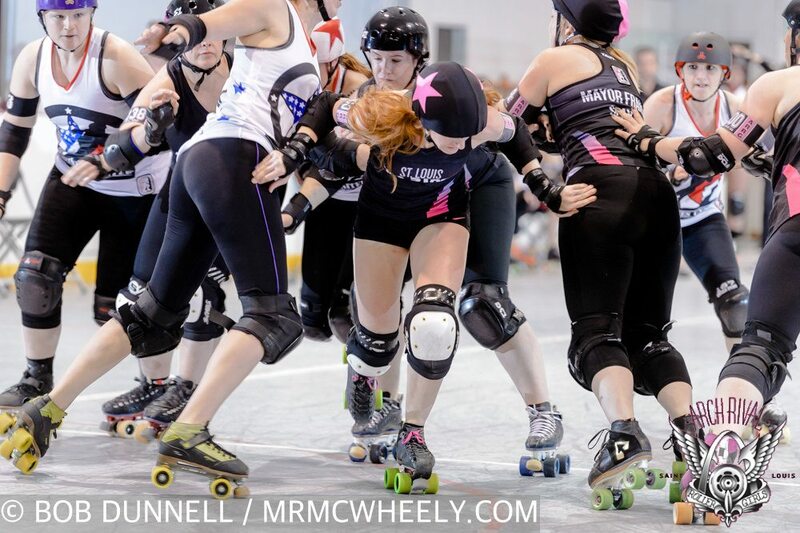 The GateKeepers, currently ranked second internationally by the Men’s Roller Derby Association (MRDA), has #6 Texas, #17 Cincinnati and #19 Carolina on its itinerary. Arch Rival (5-0) has achieved its spotless record via a lethal combination of high-octane scoring and a powerful defense. Through five games, the women have collectively outscored its opponents by a 3-to-1 ratio, 1251-382. They were challenged by unranked Des Moines United at home two weekends ago and utilized multiple scoring surges, while capitalizing on the opponent’s miscues, to grab a 180-142 victory to remain undefeated. Alongside the aforementioned co-captain, jamming will be paced this weekend by Brickyard, who notched 92 points in the Des Moines victory, as well as Mighty Mighty Boston and Annie Swanson. Blocking will be provided by veteran co-captain Party Foul, Mayor Francis Slayer, Emily Rinehart, Shimmy Hoffa, Chewblocka, Jamheiser Bush, Grave Danger, Kayla Seiber, Ninja Sass ‘Em and Cloak N’ DragHer. Charter members Julie Gray, Shear-Ra Powers, The Ginger Assassin, Kayla Wing, Krista Grant and Harmony Killerbruise are also scheduled for the trip. The squad will face opponents that ARRG has no prior history against. Friday’s tilt against #31 Calgary (3-3), Saturday’s clash with #29 Toronto (3-1) and Sunday’s meeting with #31 Dallas (6-0) are all first-time encounters with the rapid-rising WFTDA leagues. The goal for Arch Rival this weekend is to post convincing victories and maintain its positioning in the WFTDA’s Division 1 hierarchy, earmarked for the Top 40 leagues internationally. Meanwhile expectations are high on the men’s side with the GateKeepers, who took home the silver medal at last year’s MRDA Championships. This weekend will see the launch of its 2015 campaign with an early Saturday match-up against #17 Cincinnati (1-1) followed by a highly-anticipated, day-closing battle versus #6 Texas (2-0). 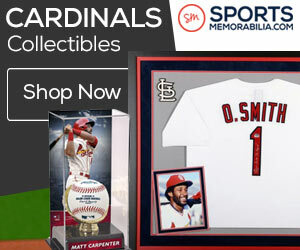 St. Louis faces #19 Carolina (2-1) Sunday night to complete its trio of games. It’s a pretty experienced line-up for the locals as 17 of the 20 skaters who were on the charter for last year’s post-season are back in the fold heading into the Indiana invitational. Jammers Debaucherous Prime, Shane Bower, Screecharound and Magnum P.I.M.P. are set to don the star this weekend. Alongside the aforementioned Controll, returning blockers this season include Double Excel, Bled Zeppelin, Gnat King Kill, Kyle Stark, Wrecking Bill, Inquadable Hulk, Spin Diesel, The Saint, Walker Hamilton, Hand Rail, David Metcalfe and Specs Offender. Aiming to log quality minutes on the St. Louis charter this season are Monster Jam, Mueller and Nate Bower, who have each spearheaded hard-fought efforts in the GateKeepers’ locally-based “Turf Wars” campaign. 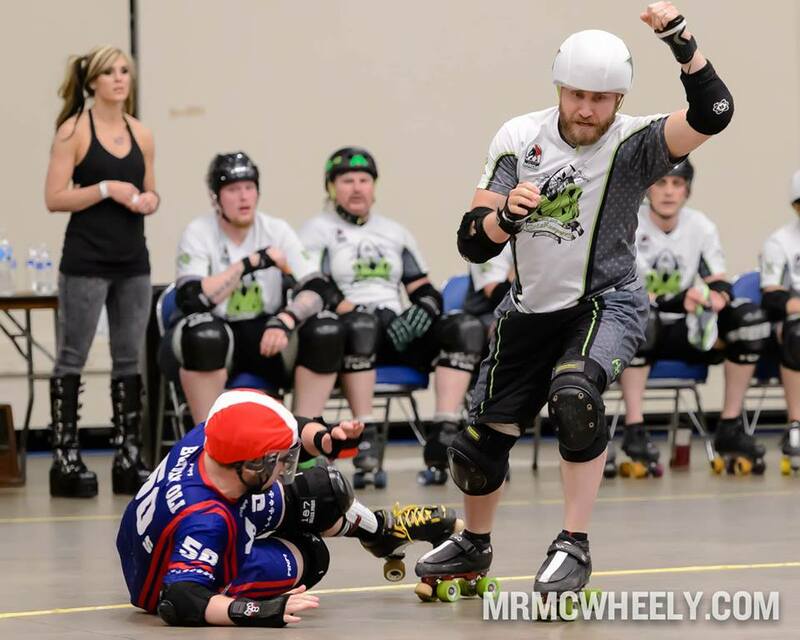 Controll says his squad is chomping at the bit to finish the weekend with three strong victories and show the derby universe that the GateKeepers should, once again, be considered one of the “must watch” leagues this year in the MRDA. Live stream coverage of the event will be available for free AT THIS LINK. 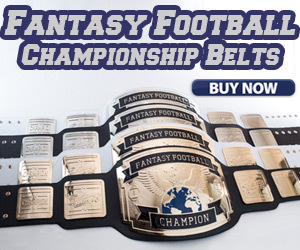 Both leagues will be presenting their respective local league championships at Chaifetz Arena on Saturday, June 13. Advance discounted tickets are available AT THIS LINK.